You must complete your registration in advance of the eCourse by following the instructions contained in the PDF download that accompanies your purchase. The download can be found on the final confirmation screen after you complete your purchase and may also be accessed from your account. Select "My Account" and then select the "Files" tab to see all of your digital downloads. According to Pew Research Center, almost one out of every five Americans listens to audiobooks. With audiobooks’ rise in popularity, it’s important for us to ensure they’re a significant part of our library collections. With the ubiquity of smartphones, there are new technology and formatting options that are changing the game, not only in terms of collection development but also in terms of cataloging. 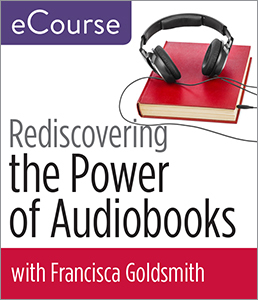 In this new 4-week eCourse, instructor Francisca Goldsmith provides you with an overview of audiobooks from a technical and collection development perspective. Throughout the course, you’ll gain familiarity with technical and functional terminology and format assets as well as gain awareness of various material and online delivery systems, their benefits, and challenges. Goldsmith covers everything from collection development and maintenance to advisory work and programming. Follow format awards for collection building and advisory awareness. Upon purchase you will receive a registration PDF in the form of a digital download. This PDF contains a link to our Registration page and a password. You must download this PDF and follow the instructions in order to complete the registration. The download link can be found on the final confirmation screen after you complete your purchase, and may also be accessed by selecting "My Account" at the top of your screen and then selecting the "Files" tab. Confirmation with login instructions, reminders, and alerts will go to the email address used in the registration. Instructor Francisca Goldsmith will monitor discussion boards regularly during the 4-week period, lead group discussions, and will also answer individual questions. All interaction will take place on the eCourse site, which will be available 24 hours a day, 7 days a week. It's recommended that students log into the site on the first day of class or within a few days for an overview of the content and to begin the first lesson. Participants will need regular access to a computer with an internet connection for online message boards participation, viewing online video, listening to streaming audio (mp3 files), and downloading and viewing PDFs and PowerPoint files. ALA Publishing eLearning Solutions eCourses are fully compatible with Windows and MacOs. This eCourse is licensed for a single user. For pricing on bulk purchases in excess of $1,000, please contact us for more information. Francisca Goldsmith has worked in public and academic libraries across North America for more than 25 years before becoming a full-time library staff development consultant and instructor. Recently, her focus has been on supporting public library staff and administrators in responding to community needs for access to healthcare information and expanding librarian and educator awareness of multi-modal literacy needs in both youth and adult communities. Her library experience and consulting includes frontline reference work, collection management, branch services management, and teen services development and advocacy. She is the author of The Readers' Advisory Guide to Graphic Novels, Second Edition (ALA Editions, 2017). 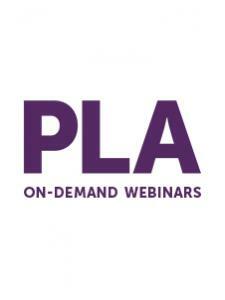 If you have any questions about this eCourse, please contact us at elsmarketing@ala.org. Accommodations are offered based on user needs. For transcription or other accessibility requests, please contact us at elsmarketing@ala.org.